Employees are central to creating sustainable organizations, yet they are left on the sidelines in most sustainability initiatives along with the HR professionals who should be helping to engage and energize them. 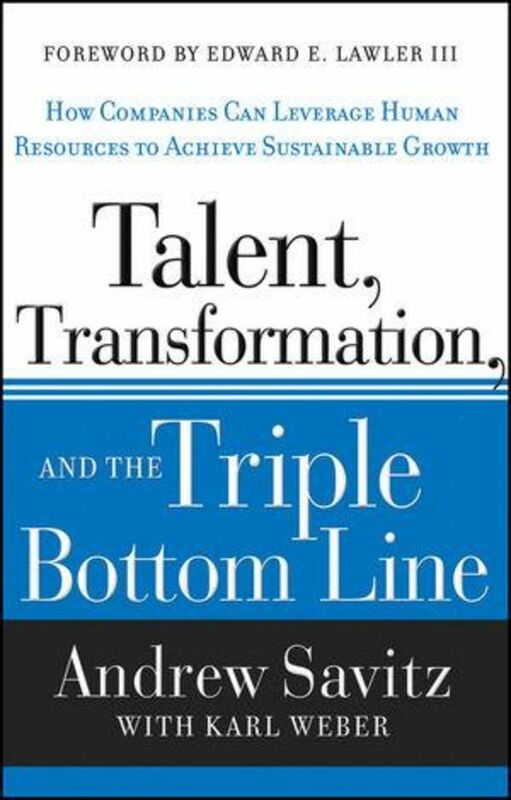 This book shows business leaders and HR professionals how to: motivate employees to create economic, environmental and social value; facilitate necessary culture, strategic and organizational change; embed sustainability into the employee lifecycle; and strengthen existing capabilities and develop new ones necessary to support the transformation to sustainability. Talent, Transformation, and the Triple Bottom Linealso demonstrates how leading companies are using sustainability to strengthen core HR functions: to win the war for talent, to motivate and empower employees, to increase productivity, and to enliven traditional HR-related efforts such as diversity, health and wellness, community involvement and volunteerism. In combination, these powerful benefits can help drive business growth, performance, and results. 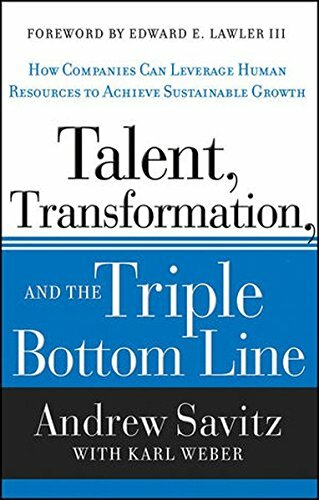 This book fills a gaping hole in both the HR and sustainability literature by educating HR professionals about sustainability, sustainability professionals about HR, and business leaders about how to marry the two to accelerate progress on both fronts.